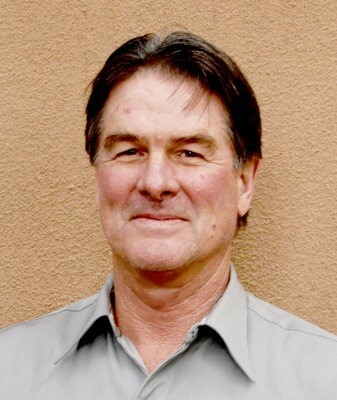 To get an expert view, we talked to our grantee, Executive Director Jay Coghlan of Nuclear Watch New Mexico. Here, he describes how the time is ripe for reform to the American nuclear weapons complex. Ploughshares Fund: What are some of the biggest challenges toward reducing the U.S. stockpile, and how can this be done without compromising U.S. security? Reducing the U.S. stockpile does not compromise American national security, but rather strengthens it. First, we already have enough nuclear weapons to kill the planet ten times over. For genuine deterrence purposes, we need only a few hundred nuclear weapons, not the thousands that we maintain. Additionally, every weapon that we retire is one less nuclear weapon waiting for an accident or that we cannot fail to keep absolutely secure. Finally, reducing our own stockpile encourages others to do so, when our conventional forces are vastly superior and nuclear weapons are our only true existential threat. PF: If a nuclear disaster were to occur in the United States, what would be the impact? JC: After Fukushima and the demise of the much-touted “nuclear renaissance” I think any disaster in the U.S. would be the final nail in the coffin for the nuclear power industry. Taxpayers would demand an end to loan subsidies and fiscal liability caps that essentially prop up nuclear corporate welfare. This would mean the end of the nuclear power industry since it cannot compete on a level playing field subject to market forces. PF: Do you think the current investigation of Air Force nuclear personnel is warranted, and what might it uncover? JC: I definitely think the current investigation of Air Force nuclear personnel is warranted as there can be no mistakes in their mission. However, it is their mission itself that needs to be thoroughly investigated. Why do we still have more than 400 ICBMs on high alert, nearly a quarter-century after the end of the Cold War? After all, the reported problems and low morale among Air Force nuclear personnel are symptoms of an archaic mission badly in need of change. PF: What reforms to the nuclear corps are needed to avoid these incidents? JC: The number of ICBMs should be vastly reduced, leaving only elite nuclear personnel still performing the mission, who should be better compensated. Ultimately, the land-based ICBM leg of the nuclear weapons triad should be eliminated entirely.